Nike’s Air Max line is back in full force. After celebrating anniversaries for the Air Max 1 and 97 in recent years, the Swoosh is now focusing on the 95. This month, they’re expected to drop a bright new colorway for the Fall. The Air Max 95 is one of the crown jewels in Nike’s collection or air-supported sneakers. The silhouette, originally from 1995 as the name implies, was a pivotal point in the Air Max franchise. The wavy upper was a stark departure from the previous entries in the line, though in the mid-90’s this ended up as a huge bonus for the Swoosh. 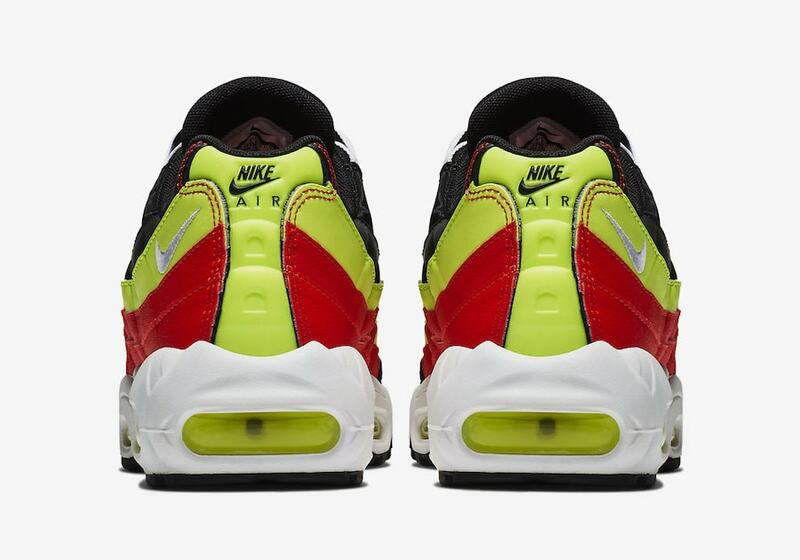 The 95’s chunky look and higher cut quickly made it a favorite among Airheads, while all the possible color combinations helped cement the silhouette as a Nike classic. 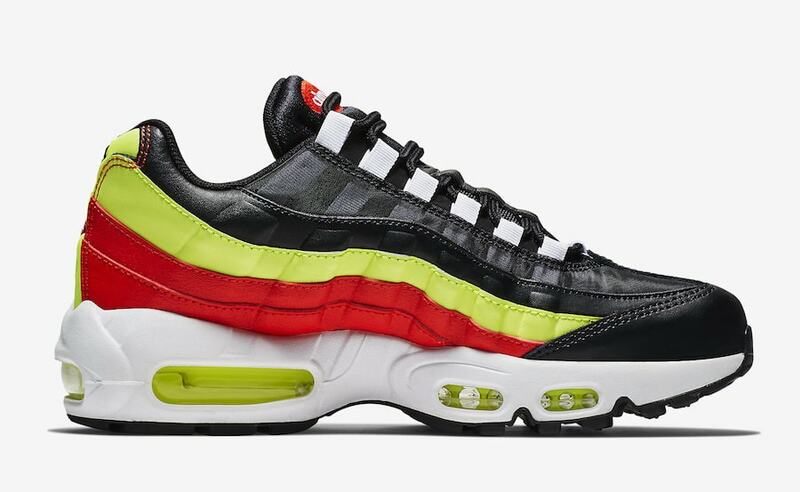 This month, Nike has a bright new look planned for their Air Max 95 Retro. 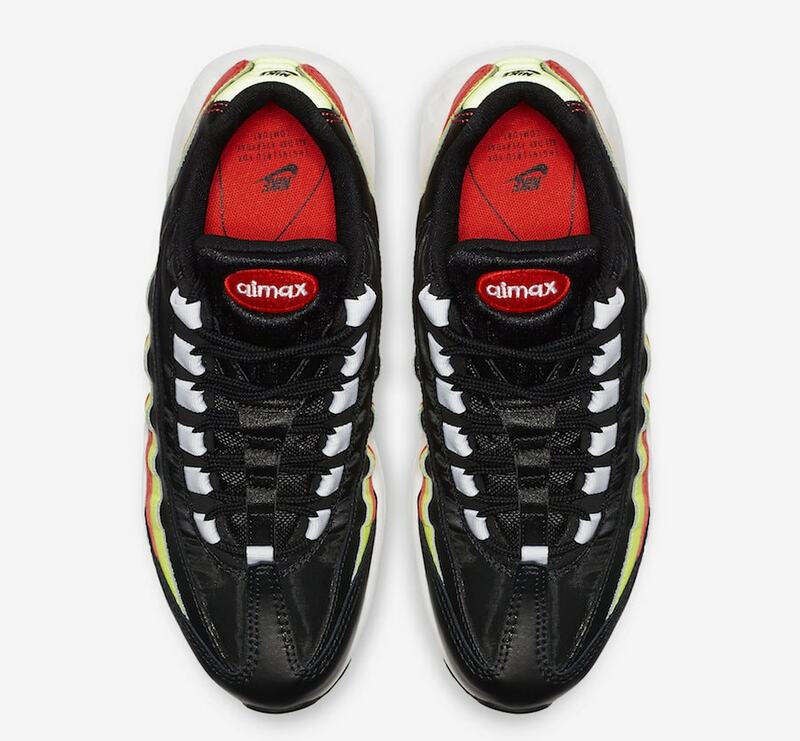 The smooth leather upper begins with black along the toebox and upper waves of the shoe, along with vibrant Volt and red stripes along the lower levels. Other details include red stitching along the back heel, a bright red air max logo on the tongue and subtle white lace loops to round out the new colorway. The next new Nike Air Max 95 colorway being added to the lineup is expected to look sometime in September 2018. The flashy Volt look will retail for the usual $160 from both Nike and select retailers. Check out the official images below for a closer look, and stay tuned to JustFreshKicks for more Air Max release news. 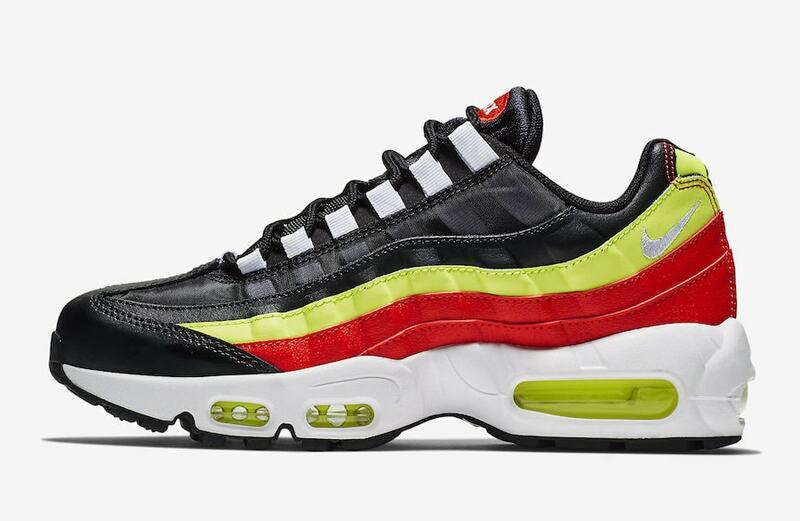 The post The Nike Air Max 95 Surfaces Online With Vibrant Volt & Red Stripes appeared first on JustFreshKicks. Previous articleDiamond Supply Co. x Nike SB Dunk “Black Diamond” Coming Soon?